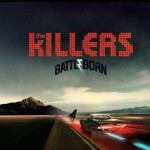 American-rock band The Killers are back after 4 years with their new album Battle Born. It being the year 2012, the music scene has changed. Bands have evolved mixing with different genres. Many bands have grown still sticking to their sound but have grown as artists in making their music relevant. Needless to say, The Killers have stuck with their original sound on this album. For anyone who likes The Killers they will always enjoy their style, but in this album they show no growth or originality with most of their songs sounding alike and keeping with in the same tempo. There are a few good songs don’t get me wrong with “Runways,” and “Here With Me,” being examples. 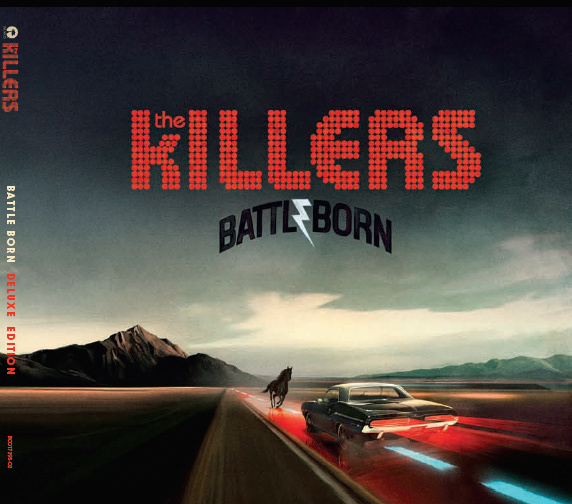 But, the memorable, odd lyrics The Killers like to come up with like in their song “Somebody Told Me” etc., are not heard in Battle Born. The one thing that The Killers have is a distinct voice. You’ll always recognize Brandon Flowers’ voice on a radio. So if you’re interested have a listen. For the fans out there, the band will be playing at the Air Canada Centre, Dec.15 2012 in Toronto. Enjoy. This entry was posted on September 26, 2012 at 8:36 pm and is filed under Album Reviews. You can follow any responses to this entry through the RSS 2.0 feed.